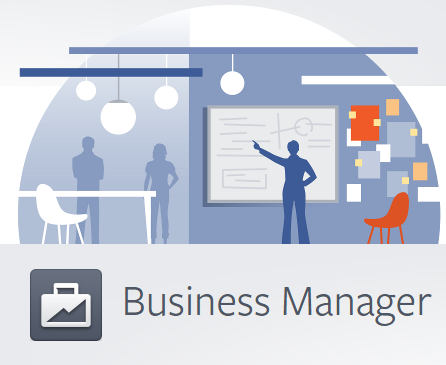 Late last year Facebook announced they are going to convert all Facebook Ad Manager Accounts to a newer and improved versions ‘BusinessManager’ effective mid-February. Option of converting into a BM account was there for Facebook advertiser but most people waited till last minute, not knowing what exactly will be the changes. In developed markets, Facebook offered support through their sales reps in the conversion process but markets like Sri Lanka never happens to get such assisted transitions in situations like this. Being a part of Ogilvy worldwide network, we had the privilege of getting Facebook support in the conversion process. We recently completed 100% migration from older version of Facebook Ads Manager platform into the new and improved Business Manager platform. If you are a small business owner or an individual advertiser who doesn’t have access to assisted transition to Business Manager, this post will help you understand some fundamentals in the new platform. Overall, Facebook’s Business Manager is an advanced (in terms of access controls and usability) platform than Google Adwords My Client Center (MCC). If you are already familiar with Google’s MCC for Adwords, you will find it extremely easy to adapt to Facebook’s Business Manager. Just like in Adwords MCC, you will be able to manage different ad accounts from a single login to your Business Manager. One major drawback in Google’s MCC is access control. You can control the levels of user rights to the MCC, but you cannot control which ad account (or accounts) a particular user can access or cannot access. For example, if you grant “standard access” to a user to a Google MCC, she will be able to have standard access to all child accounts in that MCC. Compared to that, Facebook’s Business Manager will let you decide which ad accounts can be accessed by each of the ‘employees’ added to the BM. (There are two types of users you can add to a BM. Admins and employees). For example, if I am managing company A’s and company B’s Facebook ad accounts through my BM, and if there are dedicated employees for each company, I can restrict the employee responsible for company A from accessing the FB ad account of company B (and other way around too). This is an extremely valuable option for larger agencies who manage dozens of different client accounts. In the old ad manager, once you add a payment method that will apply for all campaigns you run on that ad account. If you are running FB ads for two different clients in the same ad account, and if your payment method fails, that will affect both the clients. In the new system you can add separate payment methods for each ad account you separately create for your clients and manage the entire billing process independently. This enables agencies to be more transparent with clients, by letting clients to access their ad accounts with access control. To login to any number of different Business Manager Accounts you have access to, you need to use only one login ID that is your personal Facebook ID. Earlier, for each personal Facebook account one ad manager account was assigned. As a reason, people who are supposed to manage Facebook ads for their employers used to create a separate Facebook account to manage the FB ads and maintained their personal Facebook profiles independent from work life. This was clearly a violation of Facebook’s T&C which says, “no one user should create more than one Facebook account under any circumstances”. To worsen things, people use to share these “official FB accounts” with their bosses, clients, and other colleagues. Facebook now identifies these accounts as “shared accounts” or “gray accounts” and allow you to add all past data in such ad managers into your new Business Manager as a ‘shared account’. Once you do that, Facebook will block access to your ‘gray account’. If you have two or more business manager accounts, you will still need just your personal Facebook account to login to it. All you have to do is, going to https://business.facebook.com and login using your Facebook account. At the next screen, BM will ask which account you want to login to (if you have access to more than one BM account). First of all you need to have a fully functional personal Facebook account to create a Business Manager. You must have admin access to the official fan page of the company/business you are creating the BM account for. For example, when we created the BM account for Neo@Ogilvy SL, the person who initiated the process was supposed to have admin access to Neo@Ogilvy Sri Lanka Facebook page. Facebook identified this as the primary fan page of the Business Manager account. Once you create your Business Manager account, you can import your old ad manager account data by going to the “Ad Accounts” tab under ‘Settings’ on your Business Manager interface. You can add ‘employees’ and more ‘admins’ under the ‘People’ tab on the BM interface. I only started using the Facebook Business Manager yesterday. I will continue to learn more cool features of this platform as I use this for practical purposes, and will share some more tips on this blog in time to come.